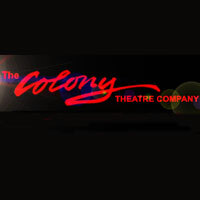 Founded in 1975, the Colony Theatre has evolved from a small local ensemble into a well-established, award-winning, nationally recognized company. The Colony recently moved into a brand-new state-of-the-art facility, The Burbank Center Stage, which features a thrust stage that puts the action right in your lap. The theater is located in an elegant but comfortable environment that includes marve... Moreous restaurants within walking distance and plenty of safe, free parking.